Entries are now open for Blisters for Bread in association with Lucky Star! 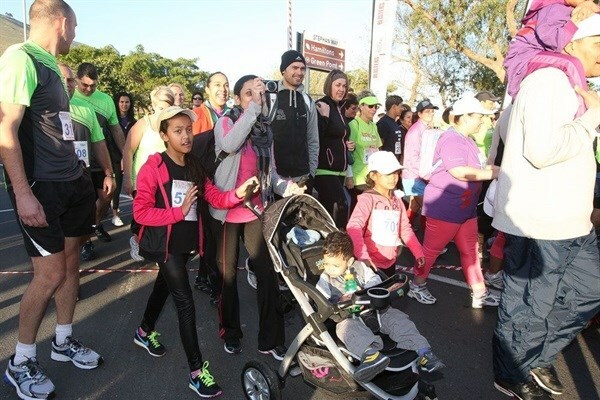 The Peninsula School Feeding Association (PSFA) is pleased to announce that entries are now open for our popular annual fundraising event, the Blisters for Bread Charity Family Fun Walk in association with Lucky Star. 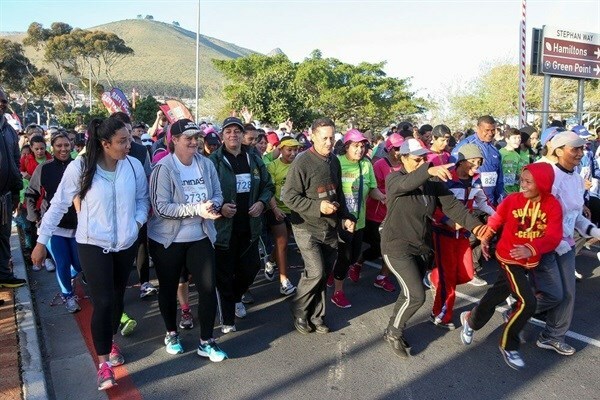 The event will take place at the Green Point Cricket Club on Sunday, 26 August 2018, and will include two routes along the Sea Point Promenade, a 10km walk that starts at 7.30am and a 5km walk that starts at 8am. 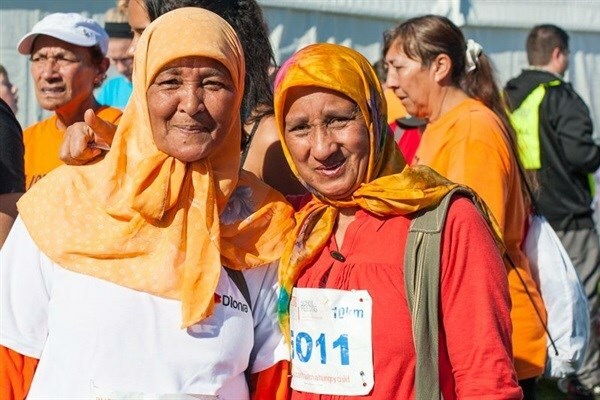 The starting point is on Fritz Sonnenberg Road outside the Green Point Cricket Club and next to the Cape Town Stadium. The entry fee is only R60 which will enable PSFA to provide 20 children with two nutritious meals for a day. The event is limited to 13,000 participants and 100% of the entry fee will go towards school feeding. Every person who enters will receive a medal and an ice cold Coca-Cola. The t-shirts for walkers are black this year and will cost R100. With the support and participation of the public, PSFA looks forward to accomplishing so much more. From the funds raised by entry fees alone, PSFA anticipates feeding 1733 hungry school children for a calendar year. The 2018 walk is guaranteed to be as entertaining and exciting as previous years with live music, food stalls and prizes. This year the crowd when crossing the finish line, will be wooed by MTV Africa Music Award winner Kyle Deutsch, Heart FM presenters, top Cape Town dancers and much more. This year 'Blisters' will celebrate a milestone in the history of the event - its 50th anniversary! The first Blisters for Bread fun walk was organised in 1968 by 146 boys from Savio College in Lansdowne. 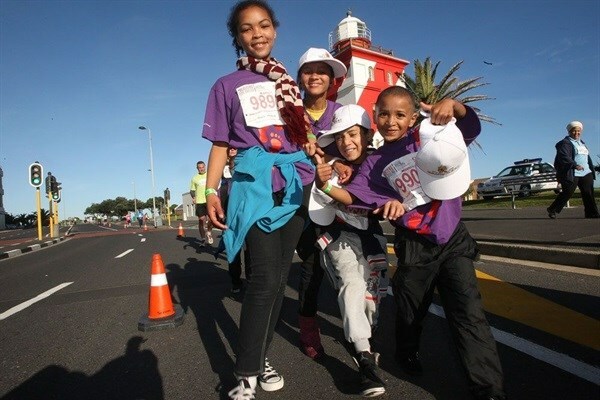 The youngsters set out for a walk of 19 miles (30,5 km) from Simon's Town to the school grounds in Lansdowne, each sponsored by firms or individuals. 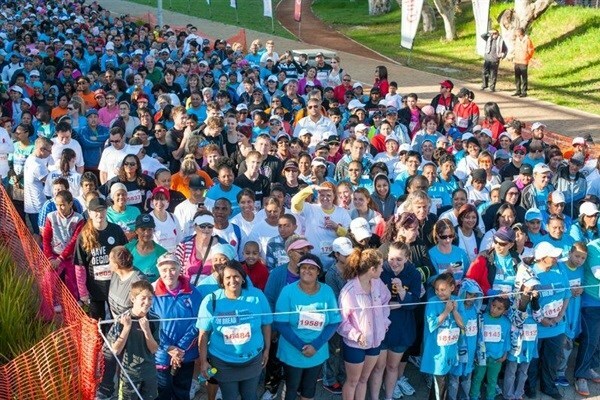 Heart transplant pioneer Prof Chris Barnard and Dr Philip Blaiberg, a heart transplant survivor, were among the sponsors to contribute to a total sum of R2644,62 raised in the first walk. The boys - mostly in school shoes - stopped for lunch in Muizenberg and made it home about five hours later. Patrick David Ives who participated in the first 'Blisters' remembered that there were no water stations like today but recalls getting a cup of soup at Muizenberg beach, while Terry Thornton raised R30 - 'quite a sum in those days'. Entries can be done online or the entry form can be downloaded at www.psfa.org.za. Entry forms can also be collected at PSFA’s offices situated at 26 Purdey Road, Sheffield Business Park in Philippi, the Top Events offices situated at 6 Koeberg Road, Maitland or at selected Pick n Pay and Sportsmans Warehouse stores in the greater Cape Town area. The closing date for group entries is 29 July, manual entries 5 August and online entries 19 August. Together we must defeat hunger because you can't teach a hungry child. Established 60 years ago in 1958, PSFA is a registered non-profit organisation that addresses hunger in young learners attending primary, secondary and special needs schools as well as Early Childhood Development Centres (ECDCs) and Further Education and Training Centres (FET's) in the Western Province. Nutritious cooked meals in the form of breakfast and lunch are currently being provided to over 27 367young people at 161 educational institutions throughout the Western Cape. PSFA has to date served over 1.7 billion meals to needy youngsters in the Western Cape. Over and above the ingredients supplied, PSFA also provides gas stoves, gas bottles, gas when needed, pots, plates, eating spoons and cooking utensils. PSFA empowers and trains members of the community, usually unemployed parents, to prepare and serve meals at each of the schools. Each volunteer is paid a monthly stipend.